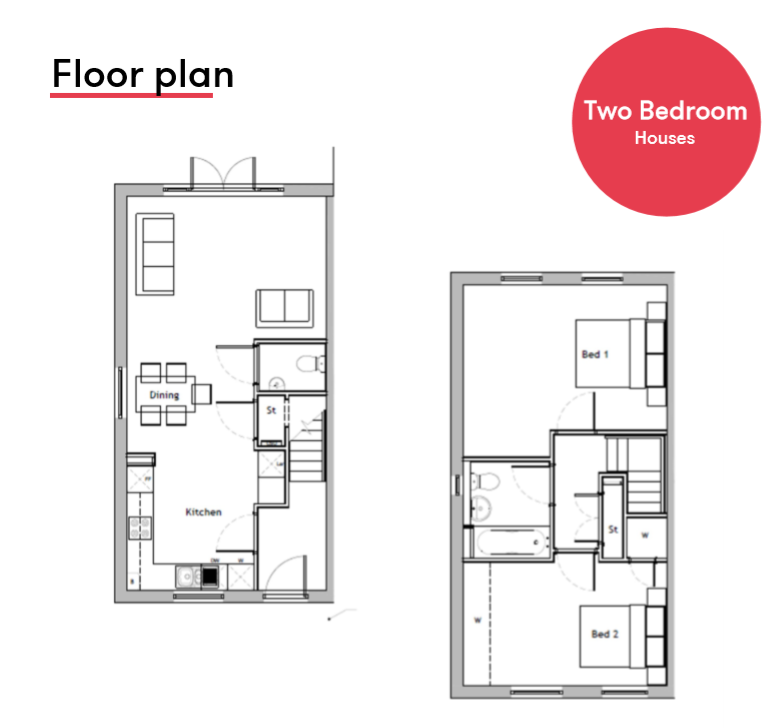 The Parade – Plots 55 & 56 are wonderful two bedroom mid-terrace houses with the benefit from open plan living and allocated parking. Interested in hearing more about The Parade?Contact our sales team today to register your interest. LiveWest’s latest exciting new development offering 2 & 3 bedroom homes surrounded by areas of open spaces and Just minutes from Bridgwater town centre. This new development has all the modern amenities you’ll need on your doorstep and is perfectly placed for commuters. There’s a great choice of parks close to home, as well as many local attractions such as the theatre, cinema, swimming pool and museums. Property descriptions and related information displayed on this page, with the exclusion of Running Costs data, are marketing materials provided by Livewest - The Parade, and do not constitute property particulars. Please contact Livewest - The Parade for full details and further information. The Running Costs data displayed on this page are provided by SmartNewHomes to give an indication of potential running costs based on various data sources. SmartNewHomes does not warrant or accept any responsibility for the accuracy or completeness of the property descriptions, related information or Running Costs data provided here.